Sumitra, now 28, got married at the age of 16. The happy life she shared with her two children, husband and his mother in a rural neighborhood on the outskirts of Kathmandu was cut short when he suddenly died. Hoping to find support, she went to the Social Center at the SOS Children’s Village in Kavre. 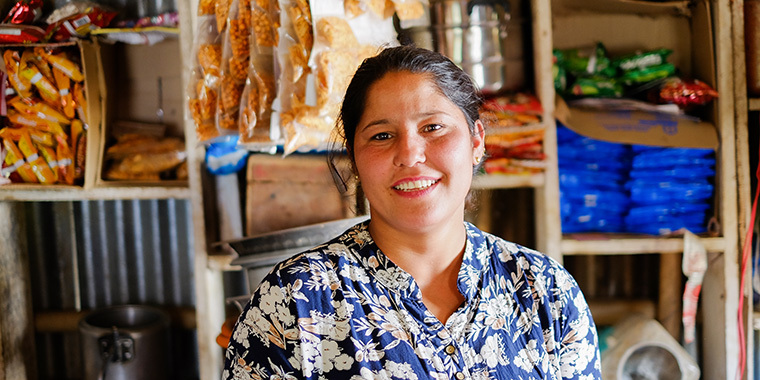 She was introduced to the SOS family strengthening program that helps vulnerable families to start small-scale businesses and get educational support for their children. Through the program, Sumitra’s children are able to attend school, and she has expanded her business and now serves meals.